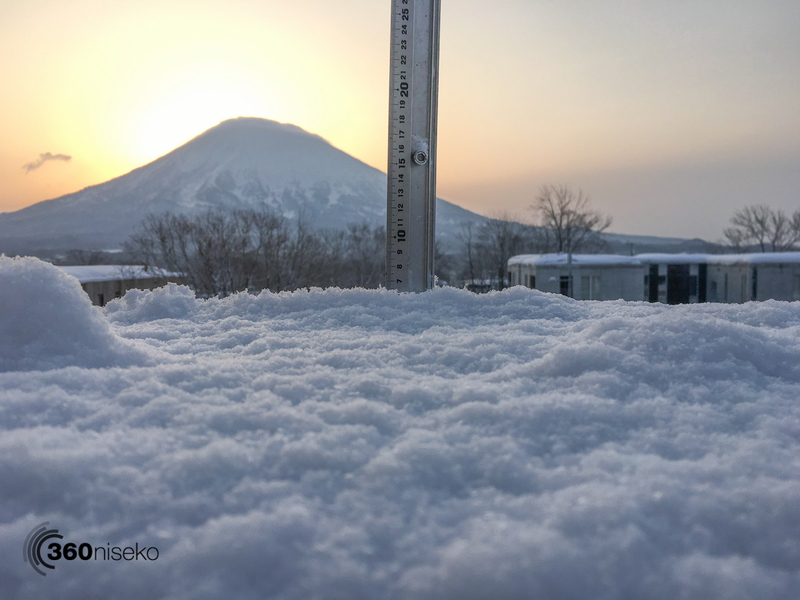 *6cm of fresh snow has fallen in the last 24hrs in Hirafu Village. At 7:00 today the temperature was -3°C. A great looking morning out there with fresh snow and Mt.Yotei winking at us! Another relatively warm day has been forecast so suggest getting up there asap if you are hunting powder turns. Wild weather and will almost certainly hit the region tonight wil heavy snowfall predicted overnight into tomorrow so make the most of the beautiful Mt.Yoeti view while it lasts.